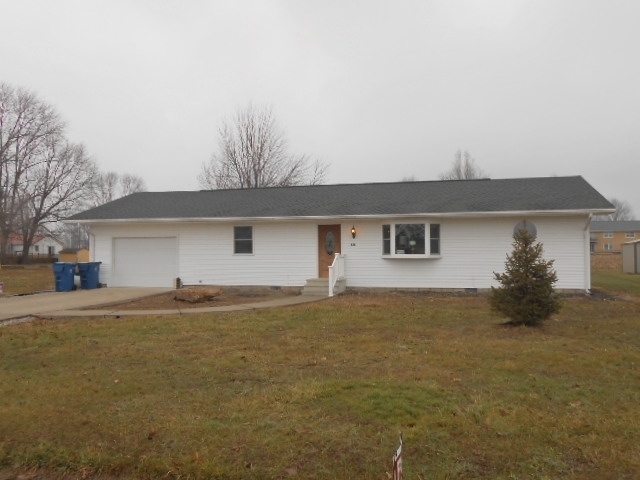 3 bedroom, 2 bath home with heated attached garage on 0.3 acres more or less. House is 4 years old and includes outbuilding and kitchen appliances. Directions:From Highway 58 in Odon turn south on East Street, . Before RR Track turn east on Horning Drive. House is on the left.